Many business practices focus on maximizing material affluence, or wealth, despite the fact that a growing empirical literature casts doubt on whether money can buy happiness. We therefore propose that businesses consider the possibility of “time affluence” as an alternative model for improving employee well-being and ethical business practice. Across four studies, results consistently showed that, even after controlling for material affluence, the experience of time affluence was positively related to subjective well-being. Studies 3 and 4 further demonstrated that the experience of mindfulness and the satisfaction of psychological needs partially mediated the positive associations between time affluence and well-being. 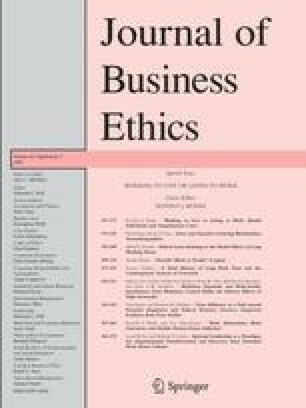 Future research directions and implications for ethical business practices are discussed.